Few would dispute that music is culturally essential and economically important to the world we live in, but the reality is that both music creators and the innovators who support them are increasingly doing business in legal quicksand. As this report makes clear, this state of affairs neither furthers the copyright law nor befits a nation as creative as the United States. We agree that music is crucial to the fabric of American life, as well as life around the globe. We also believe that the well being of artists and the ability for fans to experience a diversity of music is essential to the health of our society. So this is a big deal. And, while we may debate specific aspects of music copyright in the digital age, we feel that there is a lot of common ground in the desire to ensure a bright future for music. The Copyright Office had its work cut out for it in hearing from the many stakeholders in the music licensing space. We’re talking major labels, indie labels, recording artists, composers, tech companies, artist advocates, academics and more. Music copyright—and music licensing—is often counter-intuitive. The reason is because many of the laws that govern the space were devised in an earlier era. Even those that were passed in the digital age are more than 15 years old. And due to the sheer number of interests represented, the agendas—even within the same sector—are often contradictory. FMC participates in these processes because we understand that artists need to be part of the conversation. The musicians, composers and music managers that comprise our community want the digital marketplace to thrive and not perpetuate the flawed structures of the past. Although we welcome this report, we don’t consider its recommendations as the absolute path to legislative change. It is helpful in focusing the conversation, however—particularly for policymakers. But we feel strongly that artists must be vigilant to make sure that any future laws aren’t constructed for the sole benefit of big media companies that control the most copyrights, or just one or two kinds of technology companies. Musicians and songwriters need confidence that today and tomorrow’s systems are transparent, equitable and allow them to make use of the many tools and services that are helping to grow the legitimate digital marketplace. We were happy to see the Copyright Office reiterate support for full federalization of pre-‘72 copyrights, something we’ve backed for years. And it’s also good news that the US government is starting to understand that the music industry needs better data systems so that artists get paid what they deserve instead of secret pools of money being divvied up by the biggest companies. And when it comes to royalties, we support closing the loophole that allows AM/FM stations to not pay performers and labels. However, there are many open questions around rate standards and deal structures, some of which we’ve weighed in on the past and will continue to closely consider. One thing that is important to remember: these are just recommendations based on one federal agency’s examination of the space. 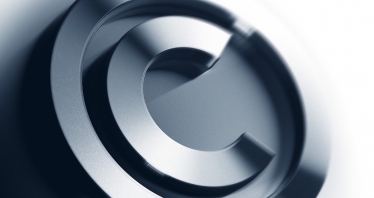 There will be a great many opportunities for artists and their teams to weigh in on these issues as Congress continues its work to update US copyright law. FMC will be there to help creators understand what’s in play and ways to get involved.